George Springer, 94, professor emeritus of mathematics and computer science at Indiana University, Bloomington, died February 18, 2019 at his home in Newton, Massachusetts. George was born September 3, 1924 in Cleveland, Ohio, the elder of two sons of Jacob “Jack” Springer and Helen (Finkel) Springer. He earned a BS in physics at Case Institute of Technology (now Case Western Reserve) in 1945, an MS in mathematics at Brown University in 1946, and a Ph.D. in mathematics from Harvard University in 1949. George met Annemarie (Keiner) at Harvard and they remained married from 1950 until her death in 2011. George’s academic career began as C. L. E. Moore instructor of mathematics at MIT, leading to his appointment as assistant professor of mathematics at Northwestern University. He then moved to the University of Kansas and served as associate professor, then professor of mathematics. George concluded his academic career as professor of mathematics, then professor of computer science, at Indiana University, a position he held until his retirement in 2003. He also worked in administration at Indiana University, serving as mathematics department chair, then as associate dean for research and development, and finally as acting dean of research and graduate development. The University’s School of Informatics honored George with its Distinguished Service Award in 2012. George also worked extensively overseas, including the University of Münster as a Fulbright lecturer and visiting professor of mathematics. He taught as a visiting professor at Mackenzie University of São Paulo and as a Fulbright lecturer and visiting professor at both the University of Würzburg and at Imperial College London. George also traveled extensively as an educational consultant, working in Ghana, Nigeria, and Uganda. In addition to teaching, George served as a consultant and examiner for the North Central Association of Colleges and Universities. He worked for fourteen years as a consulting editor for McGraw-Hill Book Company and for a year as program director for the division of mathematical sciences of the National Science Foundation in Washington, DC. George was a member of the American Mathematical Society, Mathematical Association of America, and Sigma Xi. 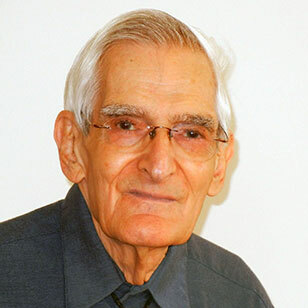 He authored and co-authored several publications, including the textbooks Introduction to Riemann Surfaces (1957) and, with Daniel P. Friedman, Scheme and the Art of Programming (1983). His research generally focused on function theory and topology, harmonic functions, conformal and quasiconformal mapping, and programming languages. George remained active in retirement, serving at Volunteers in Medicine of Monroe County until his move to Massachusetts in 2013. He especially enjoyed photography, hiking, cycling, canoeing, sailing, theater, and music. George is survived by his brother, David Springer and his wife Rosalyn of Tarzana, California; three children, Dr. Leonard Springer and his wife Deborah Bushnell Springer of St. Martinville, Louisiana, Dr. Claudia Springer and her husband Geoff Adams of Newton, Massachusetts, and Joel Springer and his wife Yumi Izuyama of Cambridge, Massachusetts; and two grandsons, Benjamin Springer and his wife Flora Paoa, and Jack Adams. The family appreciates the staff at The Falls at Cordingly Dam for George’s care. Memorial plans are currently incomplete. Condolences may be given at Andrew Magni & Son Funeral Home, Newton, Massachusetts. Memorial contributions may be made to Volunteers in Medicine of Monroe County, the Sassafras Audubon Society, or the Cardinal Stage IU Credit Union Education Initiative.